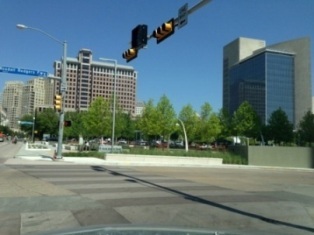 Dallas has a new park downtown over Woodall Rogers. It has been popular so far…only problem is that many of the trees are in deep trouble. There are two issues – at least two, but two main ones. 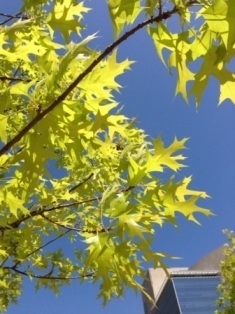 Even though the trees are planted in “manufactured soil”, the pH and trace mineral availability is lacking for pin oaks. Even if the soil was appropriate for this tree, the watered used here for irrigation isn’t. Switching to an organic program and injecting the irrigation with the proper trace minerals would help, but I’m not sure even that would help solve the problem. 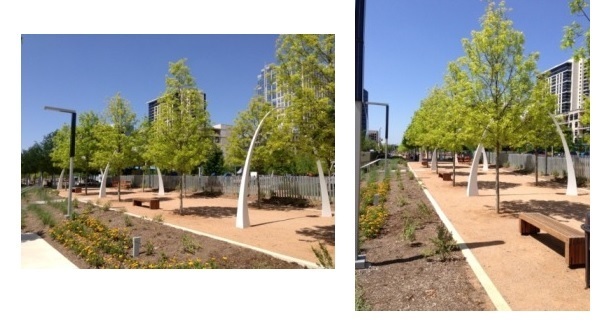 The Anatole Hotel on Stemmons in Dallas had the same problem and after years of applying all kinds of amendments, all of the red/pin oaks were removed and replaced with other species. 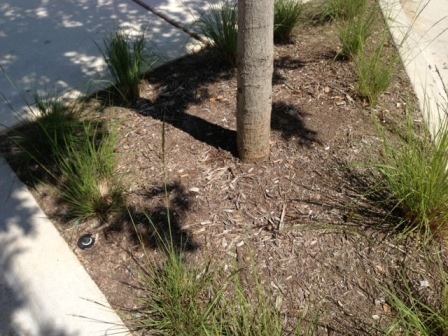 Here's the other problem and it is common to almost all landscape projects being installed. The trees are far too deep in the ground. When trees are emerging from the ground as straight as telephone poles, they are unquestionably too deep in the soil. Mulch covering the flare is just as much a problem as soil. Air Spade work and significant flare exposure is needed for the trees, not just the "red oaks" for this new park to look as good as it should.